Do you (want to) sell digital or physical stuff online? With the amount of payment processing companies and terms like SSL, it can get confusing fast. Let me explain and give you an overview of some of the payment processors and how you can use them to get paid online, so you can compare and decide which one is most suitable for you. SSL provides a secure connection between your website and a visitor’s browser, allowing you to transmit private data online. Stripe, Gumroad and Braintree require SSL, to secure the sensitive data, like creditcard info, that’s submitted to your own site. You don’t need an SSL certificate for PayPal, because visitors will be navigating away from your site to the PayPal servers (which do have SSL) to pay you. You’ll usually be able to buy an SSL certificate from your hosting company. Prices can range anywhere from $50 to $200 or even more. PayPal costs USD 0.30 + 2.9% per sale. The percentage goes down if you sell huge amounts, and there are slight variations in charges depending on the country you’re in and whether it’s a domestic or international sale. Your clients can use their bank accounts, debit and credit cards with PayPal. For payment, customers will be sent to PayPal, away from your site. When payment is complete, you can set it up to send customers to a certain page on your website, like a Thank You page. Stripe charges USD 0.30 + 2.9% per successful charge, but costs can vary depending on the country you’re in and whether or not your client or customer is in the same country. In addition to debit and credit cards, you can set up Stripe to support Bitcoins, Alipay (China) and Amex Express Checkout. And there are more payment options coming soon according to Stripe. If you have an app, you can also accept Apple Pay and Android Pay. For payment, a Stripe pop-up is shown on your site. When payment is complete, the pop-up disappears and clients stay on the same page, but you can edit the code to make it redirect to a Thank You page. Gumroad charges USD 0.25 + 5% per transaction. With Gumroad, your clients or customers can pay with any major credit card or PayPal. With Gumroad, you can either have a pop-up for the product and payment processing, or the product shown on the page itself and the payment processing overlaying the product information. Braintree is actually free for the first $50k. After that, it charges USD 0.30 + 2.9% per transaction. Multi-currency transactions will be billed an additional 1% and chargebacks are assessed a $15 fee (this applies also for the first $50k). It supports cards, PayPal, Bitcoin, Venmo, Apple Pay and Android Pay – and “whatever’s next”, according to Braintree. Braintree is very customizable, the easiest way to implement it will open a pop-up window for your customer or client to login to PayPal. But even this option is quite code-intensive and more suited to be set up by a developer. So which payment processor is best for me? You’ll want to compare the costs, payment options and implementation to find the one that suits you best. The costs for each one depends on the revenue and amount of sales you get. Prices and percentages mentioned above are the starting points, so look into the actual prices and percentages you can expect based on what you (expect to) sell. Keep in mind there will also be costs of the SSL certificate for Stripe, Gumroad and Braintree. As for payment options, they all accept credits cards. If you have any specific additional payment option you want to accept, it could be there’s only one supporting that specific payment option. Stripe, Gumroad and Braintree allow developers to really customize a lot around the payment experience on your site. If you’re not comfortable with code but want to DIY, I recommend PayPal or Gumroad. Both of them have pretty simple copy-and-paste codes for you to use. To set up a product in PayPal, go to Seller preferences. Then click the Update link for Paypal buttons. Click Create new button (or update an exisiting one by using the Action dropdown for existing buttons). For products, you’ll want to use the Buy Now button type. Input the product name in Item name, set the price and go through the steps. You can skip 2 if it’s not a physical item, but keep the Save button at Paypal checked so you can edit the button later. With the Customize advanced features, you can add URLs to pages on your website when people have finished the payment process (and also a different page if they cancel). Click Create button. You can then either copy the code given in the Website tab, which will create a button that looks like what’s shown in the Buyer’s View, or you can use the URL in the Email tab, to create your own custom link with your own text that you can style any way you like. Adding a product in Gumroad is straight-forward and well-explained by themselves. Once you’ve set-up your product, go to Gumroad Widgets and select the Overlay (pop-up) version or the Embed (in-page) version. Next, select the product and edit the button text if you’re using the Overlay version. Finally, simply copy and paste the code into your website. Getting started with your online business? 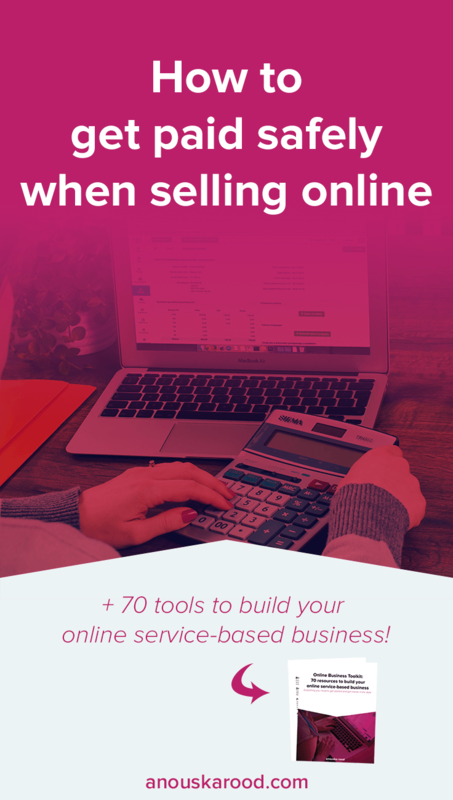 Sign up below for the 70 tools every online service-based business needs! 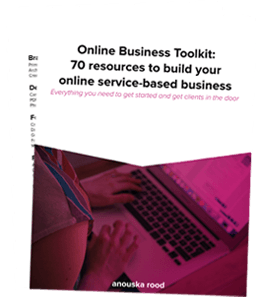 Get the 70 tools every online service-based business needs! Click the button below to get it, free!